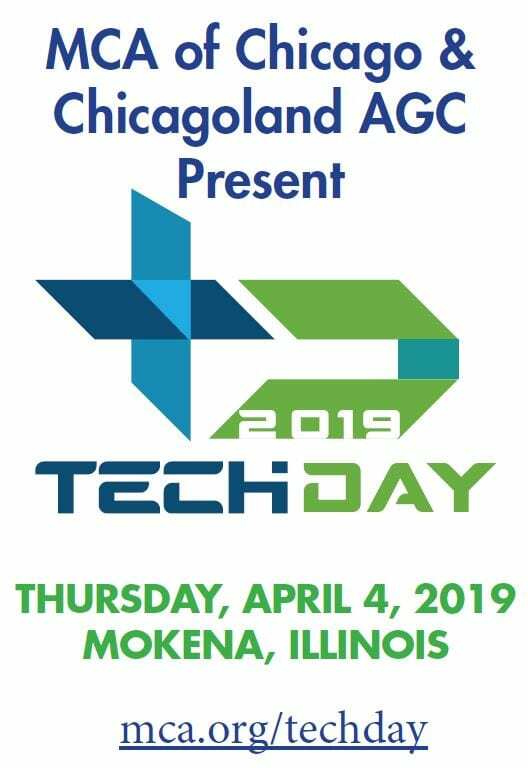 Don’t Miss Tech Day 2019! Join us for a union construction technology showcase, which runs 11am-5pm followed by a reception. It is free for both attendees and exhibitors. Executed by the local Associated General Contractors of America chapter, the Mechanical Contractors Association of Chicago, and the largest United Association local in the country, this event promises to be both relevant and exciting for participants and exhibitors alike. 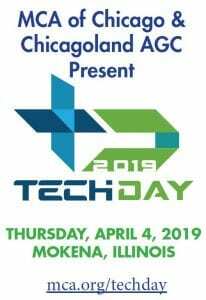 Our goal for this gathering is to connect union contractors and the people who work within them with top technology experts who offer solutions to increase efficiency and improve work product. The conference will be held at the 200,000 sq. ft., state of the art, Pipe Fitter Training Facility in Mokena, IL. We will be using several parts of the facility, which is a showcase in itself. The training facility is approximately 45 minutes from Midway Airport and an hour from O’Hare. Several hotels are nearby and the venue is only minutes from I-80. The Chicagoland Associated General Contractors is a chapter of the AGC of America and represents commercial construction contractors in the area. Its general contractor members range from large, national firms to smaller, specialized companies and build private and public projects worth more than $11 billion annually. MCA of Chicago represents 400 union contractors in northern Illinois and northwest Indiana. We have members in the industrial, commercial and HVAC service arena and many have sales over $100 million. However, we also have many contractors in the $10 – $100 million range. MCA of Chicago strives to better our contractors through labor relations, governmental affairs, education, and networking opportunities. Pipe Fitters UA Local 597 is the largest UA local in the country and has over 9,000 members.